Runner's Pal - the perfect purse for you who are working out. 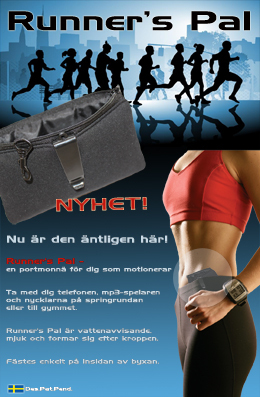 Take the cell phone, mp3-player and your keys when you run or to the gym. Runner's Pal is water proof, soft and follow the shape of your body. You attach the Runner's Pal on the inside of your training pants’ band.